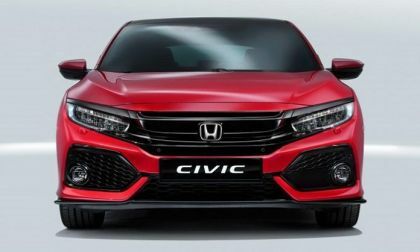 Now in its 10th generation, Honda Civic is the car that effectively made American Honda Motors the 5th largest automotive brand in north America. First introduced to Japan as a sub compact 2-door coupe back in 1972 as a 1973 model, Civic would mainstream the compact import car in the north America through affordability, innovation, reliability and long term ease of ownership. 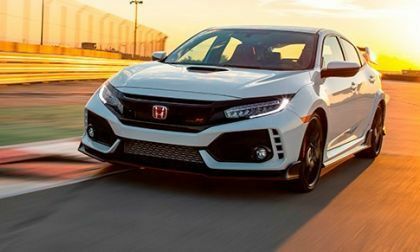 Today, the best selling sedan in the U.S., Civic presents an unparalleled up-line, tech rich, diverse lineup, featuring segment topping active safety features, and turbo power options. 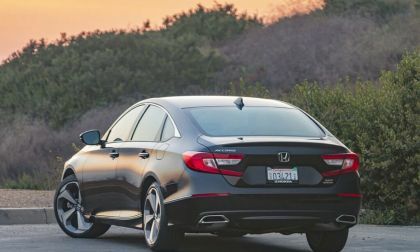 Available in coupe, 5-door hatchback, and 4-door sedan configurations, the most awarded car brand in the U.S. continues to evolve in fuel efficiency, on tap power, and near autonomous driver assist technologies. It’s also fun to drive. You will find the latest Civic developments and news here at Torque News. Honda is bringing out newer and better car models every year. Meanwhile, GM, Ford, and Dodge/Chrysler are abandoning affordable family cars. Here's why Honda is keeping its cars. 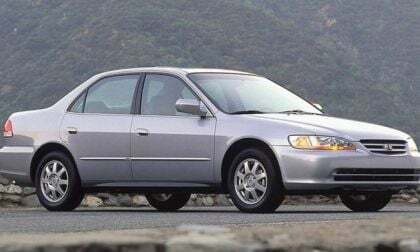 Honda has recalled more than 1 million vehicles, built from 2001 to 2016, to replace already-replaced Takata airbag inflators. According to the automaker, the recall was launched when they found that the already-fixed airbags were likely to have degraded propellant which can raise issues on deployment. One-year-old Honda's have a very unusual retained value. 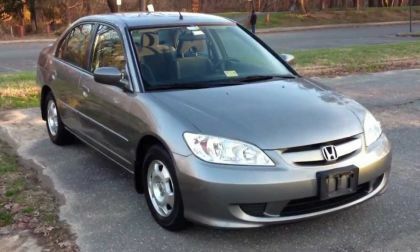 Before you buy a one-year used Honda, check out these facts. 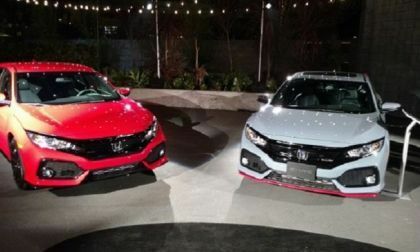 A pair of Hondas was honored by Car and Driver as they were named to the publication's "10 Best" list. 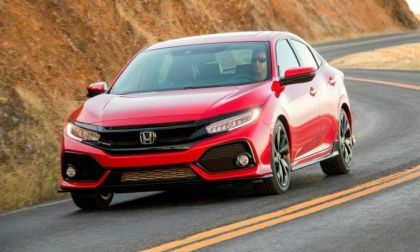 The Honda Accord and Hybrid were named to the list for the 33rd time -- a record -- while Civics were named to the list for the seventh. 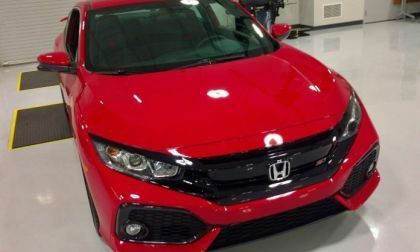 The top-selling Honda Civic comes in sporty Si trim and gets new upgrades for the 2019 model year. See why a new knob should get you excited. 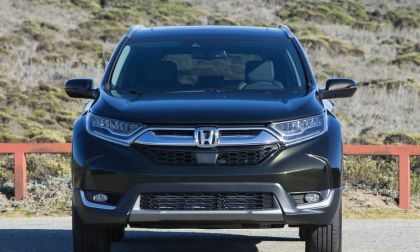 Honda is known for building reliable cars, but they drop this year in the Consumer Reports reliability survey. See where they rank for 2018. As the Takata airbag recall, keeps on keeping on, thieves are targeting something new, the airbags themselves. For a frustrated car owner who has been waiting and waiting for a replacement airbag, this type of airbag may be just what the doctor ordered, though, admittedly there are ethical questions. Now that Civic Type-R buzz has died down a bit, let’s get real. 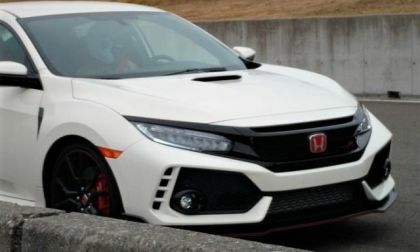 What does the future hold for Civic Type-R in the United States? 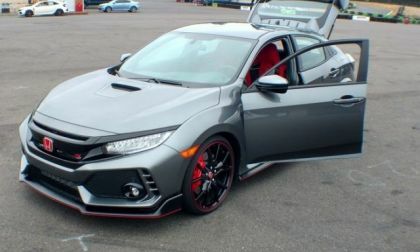 Torque News takes a first look at HondaPro Jason's epic Civic Type-R factory specification color change. There's a heck of a lot too it. But then again, there's only one HondaPro Jason. What's it take to do it right? Read on. 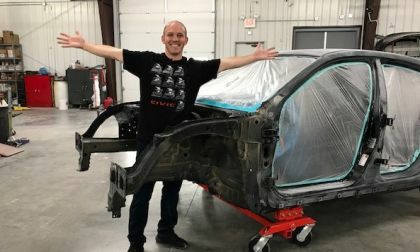 MotorWeek, T.V.’s original automotive magazine remains a heavy hitter in a Youtube dominated world. 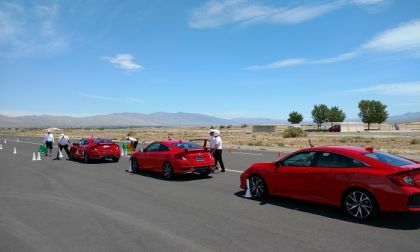 3 Key factors earn 2018 Honda Civic Motorweek’s Drivers’ Choice Award 2-years running; what are they? 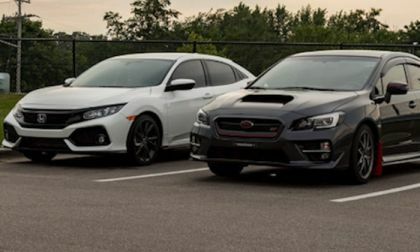 How does the 2018 Honda Civic Type R stack up against the 2018 Subaru WRX STI. Which compact performance car belongs in your garage? Here's a clue: With wireless technology comes a bit of a learning curb for 10th Generation Honda Civic owners. Is your car’s electronic system glitchy? Or is it simply a case of user awareness, or a lack of it. Honda’s most fuel efficient 2018 Civic Hatchback is not sold in the U.S.
Read more about Honda’s most fuel efficient 2018 Civic Hatchback is not sold in the U.S. 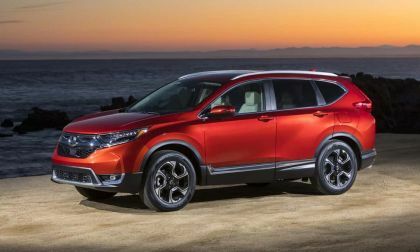 Looking to this week’s Honda News Monday morning opener: AutoWeb.com, formally Autobytel, bestows their “Buyer’s Choice Award” on 2018 Honda Civic and CR-V, the most Web-searches vehicles on the market today. What does “Best” mean in this scenario? Everything electric car, with a dash of used Honda Civic, tops our Honda News for the first week of 2018. What technology will dominate in automotive engineering for 2018 and beyond? 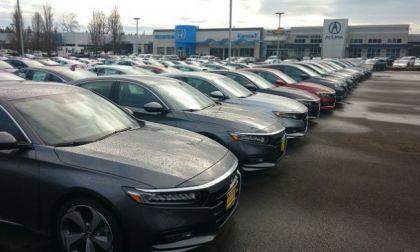 With high volume new car sales comes a glut in trade-ins. In 2017, auto dealers delivered 17 million + new cars and trucks to U.S. buyers. This week Torque News heads out to the used car lot. Here are 5 critical considerations when buying or selling your used Honda Civic. Although you may not know it, there is a unique problem that could end up killing or maiming victims of Takata airbag inflators that involves scrapyard salvage and scrapped inflators. Granted, that “hot hatch” you’ve dreamed of owning since childhood is most likely a tough sell when it comes to justifying the purchase to a significant other. 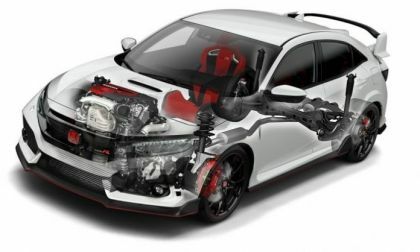 Surprisingly, Honda’s high performance Civic Type-R comes to market with a “practical” side. It’s difficult to nail down the most significant development leading to the reinvention of Honda Motor Company. There’s a lot more going on here than a supersized Honda Accord. It’s a big deal to earn Wards’ coveted “10 Best Engines” accolade. For 2018, Honda has two models acknowledged by Wards. What do we like about the most powerful engine to ever be offered in a production Honda car? 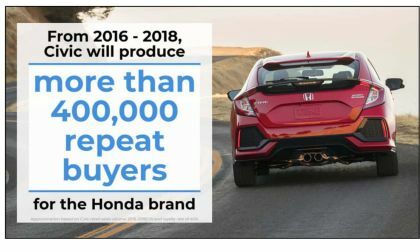 Today, Honda News shines the spotlight on a bit of a head scratcher: In an automotive market environment where the measurement of value is ever changing; where sometimes, apples beat oranges, and vice versa, 2017 Honda Civic Type-R comes out on top. 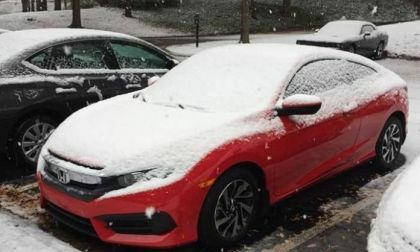 Do you guys let your Honda Civic warm up in the winter or drive it cold, or does it really matter? I feel as if the transmission is a little stiffer when it is cold out, but does driving cold negatively affect the car in any way? 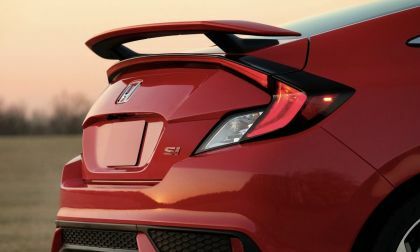 Civic Si comes to market with what is arguably the most comfortable aggressively bolstered seat in the compact performance car segment. Yet some drivers find Civic Si to be downright painful. 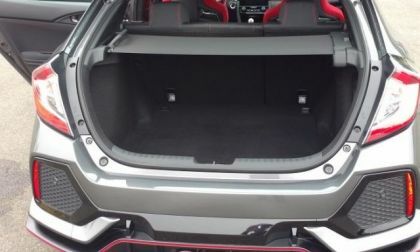 Can Civic Si’s seat be adjusted for extended drive comfort? 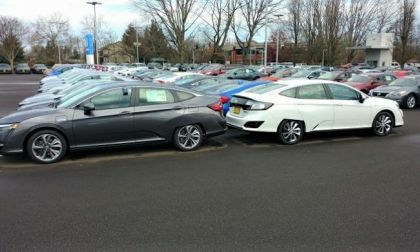 Honda Accord and Civic, earn Consumer Guide Automotive ‘Best Buy’ recognition. What sets America’s #4 auto maker apart from the crowd? We look to Consumer Guide for an answer or two. 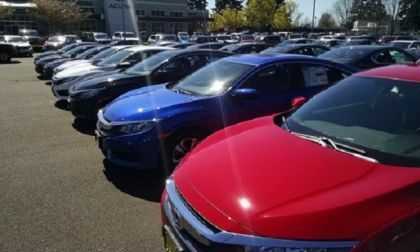 American Honda announces a low volume recall for 2017 Honda Civic Sedan and Coupe, is your car included? Top Gear Magazine is to Great Britain, what Car&Driver, Road and Track is to U.S. car enthusiasts -- the pinnacle in car porne. 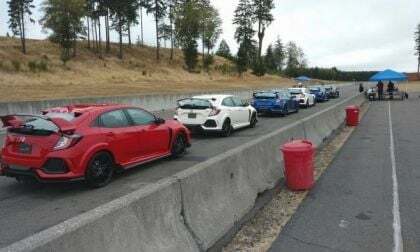 Civic Type-R just earned Top Gear’s highest accolade against all comers, here's why. On Honda’s announcement this week of Hyper-charge network expansion in Europe and Asia, what’s in store for the next generation Honda Civic? 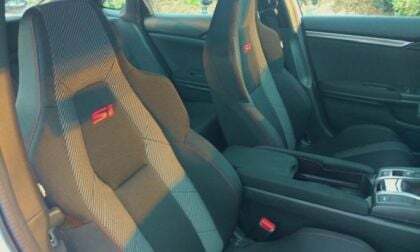 How's your 10th generation Civic Si seat treating you? There’s nothing more important when considering the long-term purchase of a new or used car than the feel and fit of the driver’s seat. 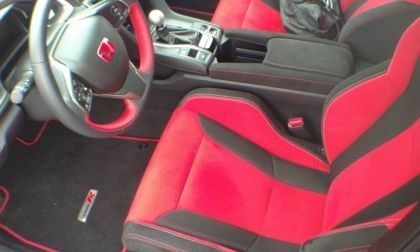 Some driver’s find the most refined Civic Si seat in Honda history to be painful. How's your 10th generation Civic Si seat treating you? 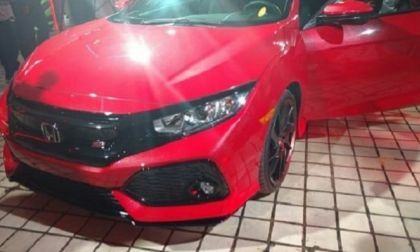 Read more about How's your 10th generation Civic Si seat treating you? Actually, the attached GIF reveals the evolution of Civic, the first Japanese auto manufacture to sell high volume mainstream cars in the United States. 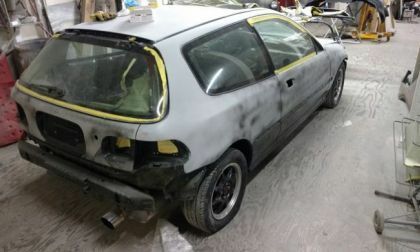 The development of Civic comes with a surprise or two. Read on. I can write about Honda’s latest and greatest turbocharged performance hatchback till the proverbial cows come home. True, I’ve made a video or two. But it never hurts to take a second serious look at 2018 Civic Type-R. The attached video captures the essence that is Honda Civic Type-R.